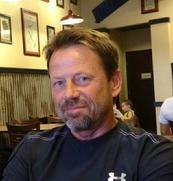 Steve Shuert has designed over 1000 homes in Dallas, Tarrant, Collin, Ellis, Navarro and Johnson Counties of North Texas. I have over 20 years of experience in the Architectural / Engineering field. After college I worked for 10 years in the commercial industry at HDR Inc. (Henningson, Durham and Richardson), Dallas, Texas (the number 2 ranked Architectural / Engineering firm in the nation), specializing in hospitals and prisons. In 1993, I branched out on my own mastering the field of residential designs, bringing with me the expertise of high government standards. I am also a professional member of Texas Institute of Building Design (TIBD) www.tibd.org and the American Institute of Building Design (AIBD) www.aibd.org . For builders, I would like to help develop standard plans with brochures to deal with volume production or design CUSTOM homes and specs. I am dedicated to giving your firm personal attention and quick turn around. I would like to be considered on your team as your personal Residential Designer. For individual clients, I would like to help make your dream home a reality by designing from our Standard Plan Books or from YOUR design. All plans are generated on computer using state-of-the-art CAD software. Construction sets consist of : Floor Plans, Four sides of Elevations, Roof Plan, Electrical Plans, Custom Details, and Site Plan. REScheck Compliance Certificate also available. See "House Plans" page for internet order of our most popular plans or visit our office to view over 500 custom house plans for sale. 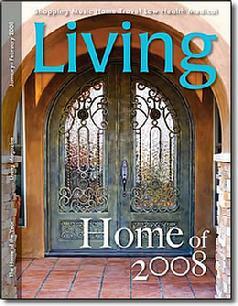 Winner of "Home of the Year 2008" by Living Magazine. Winner of "Home of the Year 2012" by Living Magazine.